Tahoe tech guru Yardley LaMotte had a vision for future robots that could transform the world. He started a company called Tahoe Robotics. Todd Borg and his wife moved from Minnesota to Lake Tahoe in 1990. 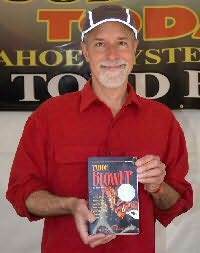 After his fourth Tahoe novel, he sold his business to write full time. In addition to winning the Ben Franklin Award for Best Mystery of the Year, Todd Borg’s Owen McKenna mysteries have been chosen for Top 5 Mystery lists by the prestigious Library Journal, and by Mystery News Reviewer G. Wedgwood. 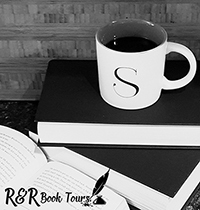 He’s won Best Mystery and Best Thriller honors from the Bay Area Independent Publishers Association and received Best New Fiction accolades from libraries. His novels have also received starred reviews and raves in major trade journals and newspapers across the country. Todd Borg and his wife live on Lake Tahoe’s South Shore. It is time for the new Owen McKenna story and I was overjoyed to get into this one. Yardley LaMotte is a tech guru working on robotics and software mapping mountains. But to get funding he had to borrow some money from some unsavory characters. He just learned that the guy he borrowed the money from has died and that his brother has come to collect. Yardley comes up with a desperate plan to try to off the brother but things back fire on him. We then learn that the guy Yardley borrowed the money from is very alive and doesn’t have a brother. Owen McKenna is called in when a local outdoorsman, Vince’s son, John has been kidnapped. It seems someone needs Vince’s expertise to recover something from the mountain. But they are not done with John. It seems John has a little computer knowledge and might be able to crack a thumb drive with information about Yardley’s research and company. It’s up to Owen to save John and figure out what is going on with Yardley and his company. Yardley has gotten himself mixed up with some serious bad guys. Of course I was hooked when I read that the man Yardley borrowed the money from was alive with not brother. I was chewing on my fingernails impatiently trying to figure out what was going on there. The more the learned about Yardley from his wife the more I was curious about what was really going on. Of course I felt for Vince and Brie, I hoped that they could get John back quickly and in one piece. But he is in a tough place and Owen is going to have to learn about how to use a paraglider to save him. I love all of the information to goes into little things like that when you read these books. 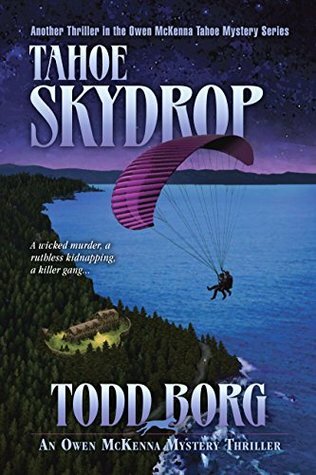 I am a diehard Owen McKenna fans and thing Tahoe Skydrop is a great addition to the series. Owen and Spot are some tough characters that find themselves in some tough situations but will have you cheering for them the whole while. Thank goodness Street and Blonde are there when they need support. There is the trademark twist ending that you won’t see coming so don’t get too confident that you think you know what is going on. This is all around an amazing story and series. You could read the story as a standalone but I recommend reading the series in order. There are little bits of information that you will appreciate from former stories. Make sure to get you copy today, I can’t wait until the next book comes out.